As we remember our veterans on Veterans Day and throughout the year, may we never forget their sacrifice, their bravery, and their resilient spirits. Our lives today have been shaped by their service to our country and for that we are so very grateful. If making a move to a senior living community has come up in conversation with your aging loved one at some point, chances are you have some questions about what it’s like to actually move in! How does the move-in process work? Who helps manage the transition? What is the timeline for making the move? Mature Media Award Winner. If you are a caregiver looking for senior living options for an aging loved one, you probably have lots of questions, the first being: how do I convince my loved one to give assisted living a try? Many older adults love the idea of a maintenance-free lifestyle but are afraid of the changes that come with making a move. 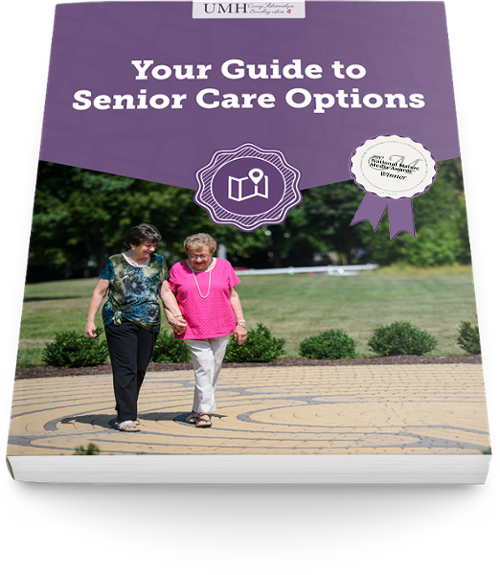 Find some valuable tips on how to broach the subject of senior living with your loved one, learn more about the move-in transition process, and explore some benefits that may be available to help cover the cost of care. Check out our infographic that includes a few of the most common questions family members have about assisted living. With the arrival of the winter season, the joy and happiness of the holidays is never far off. Unfortunately for many caregivers, it is this time of year that can often cause a great deal of anxiety and stress. As a caregiver, how often do you find yourself worrying about the safety and security of your aging loved one? Making the decision to move a loved one into an assisted living community can be very hard. It is even harder for a caregiver to recognize when that time has come. Many caregivers ignore some of the obvious signs that their aging loved one might need to make this move. Older adults may begin to struggle with everyday tasks as they get older, caregivers can't always be there to help them. This creates stress in both of their lives. An assisted living community provides seniors with a maintenance-free lifestyle where they can start enjoying life again. If you are caring for an aging loved one, you may have heard that searching for the right senior living community can be quite an overwhelming process. For many families, this is actually true! There are many options to choose from, many factors to consider, many questions to ask, and many people to talk to before making a decision you and your loved one feel comfortable with.